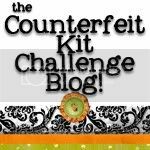 I thought it might be fun as I reach the end of my Counterfeit Challenge Kit each month to devote a post to ideas for using up all those last scraps of paper. Last month we focused on circle punches. You can see that page here. This month I seem to have a lot of long narrow strips of paper so it was Glitter Girl to the rescue again with her video on using scraps. I trimmed each of the strips to be just under 6 inches long (which was the length of my shortest strip), inked all the edges and then set about arranging them across the top section of my page. 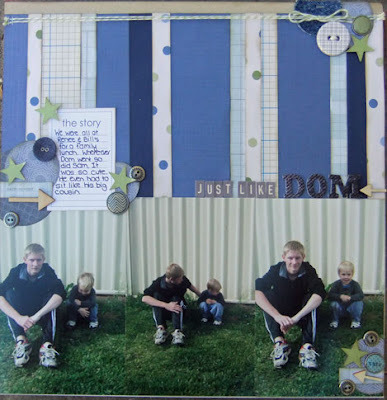 Once I was happy with the result I adhered them all and then added a serious of three photos across the bottom half of the page. Then came the fun part of embellishing. I punched circles from any grey left-overs and then decided I needed a punch of green and added some small star punches. (Yes, I would be lost without my punches). I added some Melissa Frances Vintage metal buttons, a denim button from Junkitz, a scrap of denim fabric and some brads from My Minds Eye to finish off. By this stage of the month the original embellishments I included in my kit are generally all used up. 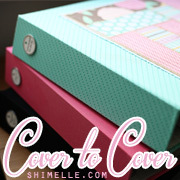 So there is a clue for me for next month - add more embellishments!! That is one of the great things about making our own kits -we can adapt them to suit our own style and particular needs. 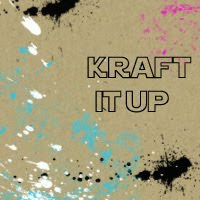 Oh how I love scrapping with a kit. 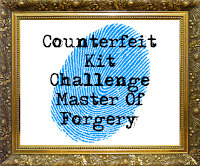 Will you be joining us next month at Counterfeit Kit Challenge? 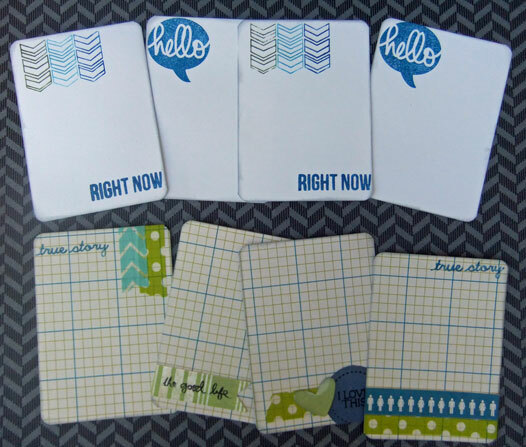 I also used some scraps and stamps to make some Project Life style journalling cards (now I just need to use them). 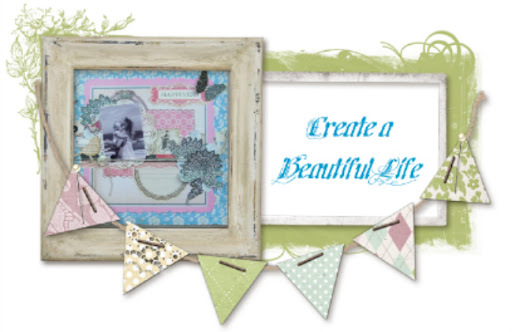 Love that you were able to use your scraps up. 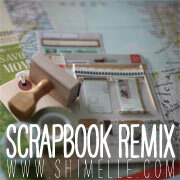 I plan on making a starter page today with lots of leftover scraps from my Feb kit!! Great inspiration!! Two great ideas!!! Love your idea to have a scraps feature....AND...your PL cards are WONDERFUL! 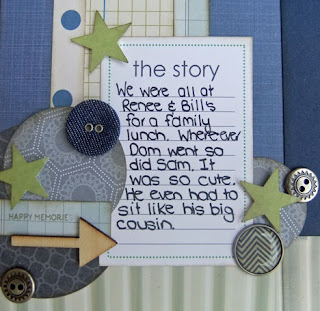 Love the page and the fact that it uses up scraps is a big bonus. Have fun with those lovely PL cards too.